STRETCH OUT & RELAX! 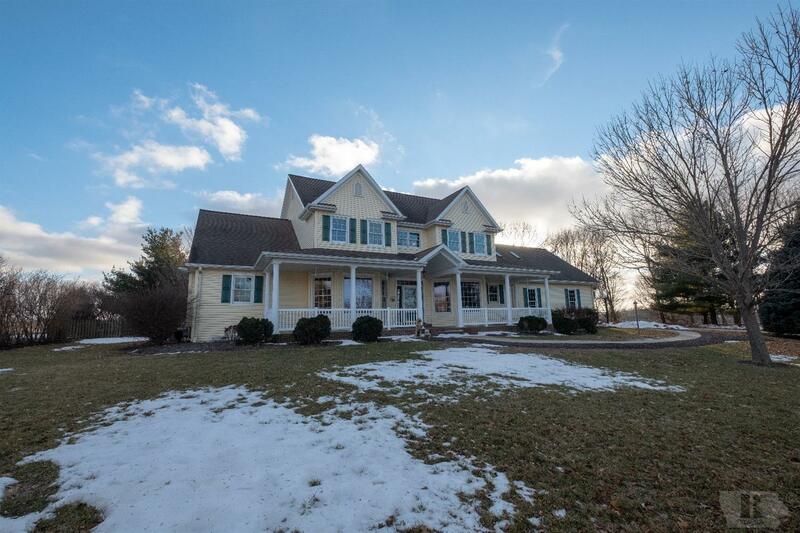 Enjoy life more in double the living area of this oh-so-spacious 5 Bedroom 5 Bathroom Home. The open floor plan includes Formal and informal dining areas, large kitchen with ABUNDANT Cabinetry, spacious living room with tall ceilings and a warm fire place for those cold nights. There are many great features throughout including solid oak doors, custom built ins, hardwood floors and much more to appreciate. The main floor Master Suite includes his and her walk in closets and a large bathroom. The 2nd floor includes 4 LARGE bedrooms and 2 bathrooms with custom tiled showers plus a bonus area. The lower level is great for entertaining and relaxing with a movie theater room, Wet Bar, Recreational room, family room, full bathroom, and a Craft Room! This home has something for everyone and includes a 3 stall heated garage with storage. All of this is on 1.28 acres and with space to enjoy the wonderful yard for family and friends! Call today for your private tour before this one slips away!